Online Shopping websites are growing in numbers , and I am quite amazed with the collections they have to offer. One such website which I recently came across is zdress.com. If you are a fashion enthusiasts, or simply on a budget then this website is worth sparing out your time . 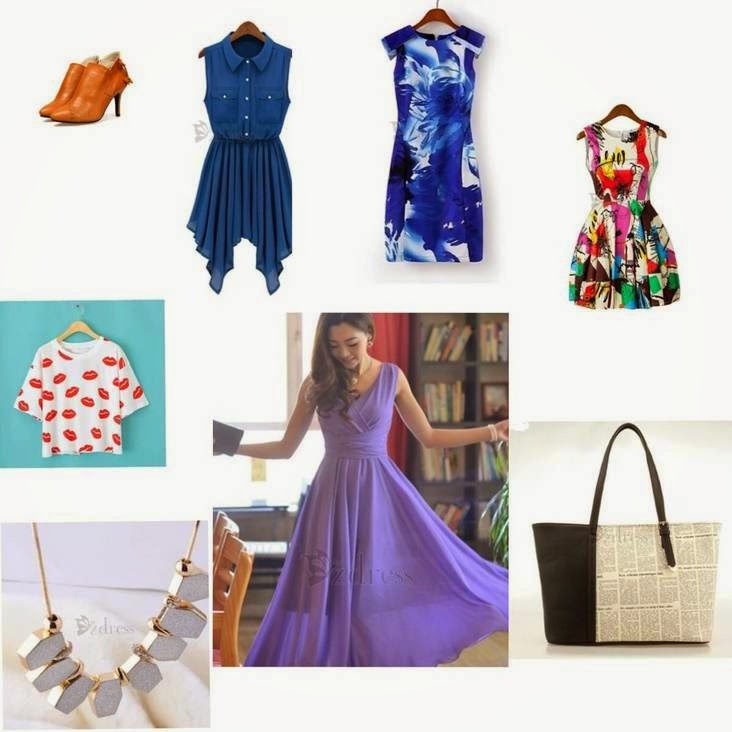 Zdress is an exquisite fashion destination for the fashion forward fashionistas which provides women clothing, jewelry, makeup, accessories, bags, lingerie, and shoes and other retail stuff at wholesale prices. Its your one stop shop for all your fashion needs .Not only the the prices start from as low as USD 5 for women wear , but there is a special section where more than five thousands products are available at a bargain of USD 10 . What's In Store for you : Vintage dresses, and some of the best in outerwear in Digital prints, with colorful Activewear section, are few of my favorites from their website. If you are a blazer lover, and looking forward to get your work wear a new update, then get better collection in less money from them ! Florals to monochrome in different shapes and sizes, they have blazers to suit every body type. They seem to be following fashion trends and the styles and choices are both up-to date. Offering clothes for every occasion, from a night out to a movie date, or a formal dinner, One is sure to find the outfit of their need. P.S :Delivery is guaranteed as they use only DHL and Ems as shipping methods, and payments accepted via Paypal and all the other major credit cards.